Here’s a lesson to kids (and parents) everywhere; don’t take Gordon Ramsay’s parking spot. 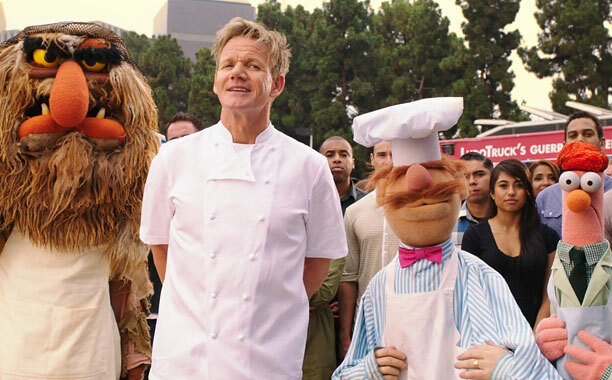 In an all-new Muppisode promoting the upcoming sequel Muppets Most Wanted, Kermit, Miss Piggy, and the gang are out enjoying different food truck options. The Swedish Chef gets his felt hand in on the action. Only problem is, when Ramsay arrives, he’s in his spot! What’s the only way to solve a problem like this?